Designer discount, order forms customized with your logo and tax exempt purchasing is available upon log in with your retail sales tax license number. Simply log in with tax ID to gain access and start shopping with your client. Registered designers may order single samples. You will be refunded in full when the piece is returned within 30 days. Payment is due in full for sample. Shipping is not refunded. You MUST determine proper placement on cabinet using the longest figure BEFORE you drill. Pulls are double stem, standard mounting (3” on center) but the pulls are not a standard length and may extend beyond cabinet bottom if not placed properly. Knobs are single stem and can be made with a spin pin. Strap and bar pulls match all collections. 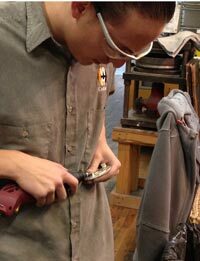 All of our hardware can be fabricated with standard or custom finishes. Please call us if you’d like to discuss anything. Each sculpture is hand made. Pieces are finished without lacquer and considered ‘living’. They will change over time. Cabinet hardware can be ordered in white (silver looking) or golden bronze and polished with no patina or light patina (darkened in recesses) choices available at check out. Bronze will age gracefully responding to time, touch, and the elements naturally enhancing the finish. Regularly touched, the high points will maintain a beautiful, polished glow. Clean bronze with a mild soap, water, and a non-abrasive cloth. Conditions vary across the country. Chemicals and minerals in the water and air can have an effect on the patina. We recommend that you rinse away any traces of soap and gently dry with a clean soft cloth. DO NOT use any chemicals, cleaners or abrasives such as Windex, furniture polish, toothpaste, vinegar or bleach or scotch brite to clean bronze. To protect the patina finish and lessen changes from the elements, apply a high-quality clear paste wax. I prefer Tres wax. Clean and lightly wax and polish bronze sculpture once a year. 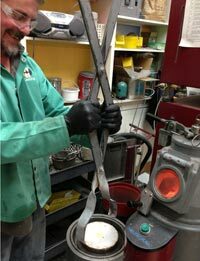 Folwell Studios works in collaboration with Western Heritage of Loveland, CO to cast smaller Handle The Art hardware. Western Heritage is known for finely detailed, small works in art grade bronze. Door pulls and larger works are cast with my monument fine art bronze foundries in Colorado. 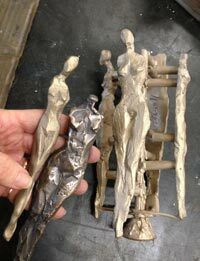 Process: Each sculpture is a hand made clay or wax original, molded in a fine rubber. Original is removed, wax is poured into the mold. Wax handles are removed and attached to a wax ‘tree’ arranged in vertical cans. 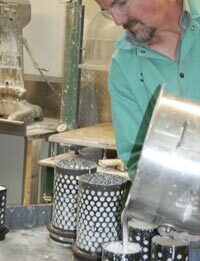 An ‘investment’ fine ceramic mold is poured around the wax tree. 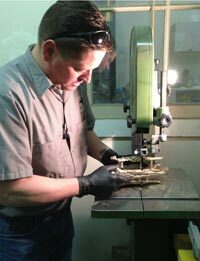 The investment mold is fired for 8-16 hours and ‘loses’ the wax through the ‘tree’ circulation. The hot cans are then sealed below a crucible. 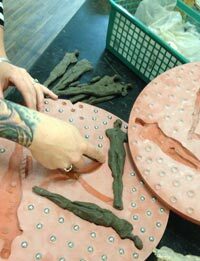 When the exact amount of bronze reaches a melting temperature of about 2000 degrees Fahrenheit, the molten bronze is poured into the mold. 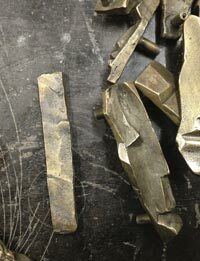 The cast bronze is revealed by breaking away the investment. Skilled craftsmen meticulously cut the bronze art from the cast ‘tree’ and ‘metal chase’ every surface. In patina we do a bath of liver of sulfur and polish to create a lovely natural bronze contrast. Turn around time is approximately 8 weeks from the time of ordering. 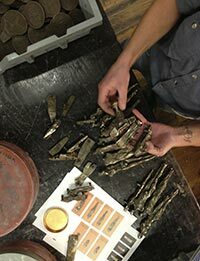 Folwell Studios stands behind the workmanship of all of our bronze. We will repair or replace any defective product or parts that fail. Proof of purchase required. The patina finish applied to our bronze products is a “living finish” and will change with time, touch, climate, etc. Because each product will be exposed to a varying set of conditions, we do not warranty the finish of our hardware. Folwell Studios will not assume liability for any labor charges regarding the removal or re-installation of the products; nor will we cover any freight, postage, or handling expense related to the product. Damages caused by accident, misuse, abuse, or improper installation are not covered by this warranty.